You may or may not know that the Post Office does a whole lot more than deliver mail. 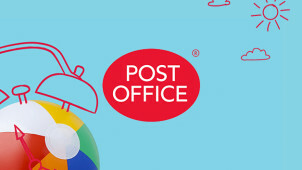 Offering 170 different products and services and with 11,500 branches across the country, the Post Office is the largest retail network in the UK, providing financial services such as banking, credits and loads, alongside its large insurance arm. Stretching back over 370 years, the Post Office has a proud history of providing the best possible service to the people of the UK. And it’s this reputation for reliability and excellent customer service that you can expect from Post Office Insurance cover. So whether you’re about to buy a new home, or want to make sure you’re safe while you’re out on the road, Post Office Insurance should be your first port of call. It’s easy to get a quote or make a claim, either online or over the phone, and in line with other Post Office products, its insurance policies are designed to be cheap and straightforward. How do I use my Post Office Insurance Promo Code? Have a look at the Post Office Insurance discounts on offer and follow the link to their website. To find an insurance policy, click on ‘get a quote'. Enter your personal details, and if relevant, travel dates or house or car details. Choose the policy that is best suited to you. You will be able to enter your vouchercloud discount code, as shown below. Enter your contact details and payment details. Regular traveller? Have a look at the Post Office Annual Multi-Trip Travel Insurance. How do I make a Post Office travel insurance claim? You will need to call 0333 333 9702 to make claim. You will need to have police reports, as well as receipts, bills, tickets or copies of anything else that was lost or stolen. What is the upper age limit for Post Office Single Trip Travel Insurance policies? You have to be under the age of 86 to qualify for the policy. Do Post Office Travel Insurance policies cover customers who don’t live in the UK? Unfortunately, Post Office insurance policies only cover UK residents. You will be sent an email with a copy of your insurance policy once you have purchased it. The claims hotline is open 9 am - 5 pm Monday to Friday. The Post Office remains one of Britain’s most trusted brands and its comprehensive range of insurance policies, which offer travel, home, motor, life, pet and business insurance are no different. Make use of a Post Office Insurance Promo Code and you could get your next policy for less, whether you’re intending to jet off on holiday, you’re thinking of buying a new car, or you just want to make sure your home is safe. With Post Office Insurance, there’s barely an area of life that you won’t be able to protect. But there are also a number of policies specifically geared towards over-50s, including car insurance and life cover. As you get older, you want to be able to relax and enjoy your life rather than worry about what will happen if something goes wrong. And Post Office Insurance policies are designed to allow you to do precisely that. Thinking of heading overseas for an extended trip? Maybe you want to explore the world, or you’re in need of a break between jobs. Post Office backpacker insurance is designed for the adventurers among you, to make sure you’re safe and secure while you’re out on the road. A Post Office Insurance discount code could go towards your insurance, so that you can feel safe in the knowledge that if you have an accident or get sick, you’re covered.